Last year, the American Society of Hematology (ASH) recognized three Choosing Wisely Champions who were leading efforts to eliminate costly and potentially harmful overuse of common tests and procedures. This year, the ASH Subcommittee on Stewardship selected three more Choosing Wisely Champions. 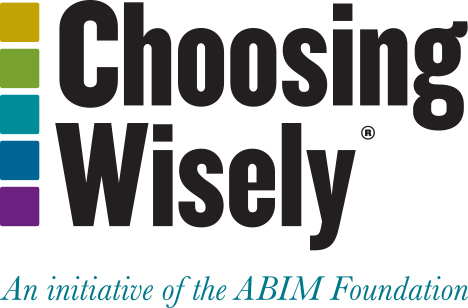 Each will share more about their work during the 59th ASH Annual Meeting and Exposition next month in Atlanta to provide attendees with an opportunity to learn how to apply Choosing Wisely to their own practices. Yulia Lin, MD, Sunnybrook Health Science Centre/Research Institute, Toronto, Ontario—After observing a patient who was eventually determined to have iron-deficiency anemia (IDA) repeatedly visit the emergency department and receive repeated transfusions, Dr. Lin and colleagues worked to reduce inappropriate transfusions for patients with the same condition. The team used several interventions, including conducting an education session, creating an algorithm on IDA management and implementing a toolkit for emergency department physicians. They also made intravenous iron more readily available in the emergency department, improved access to a transfusion specialist for guidance and presented on the topic at rounds. The result was a significant improvement over the baseline, with transfusion appropriateness improving from 53 percent to 91 percent between January 2014 and December 2015. The use of IV iron increased from an average of 2.4 uses per month in 2014 to 4.8 uses per month in 2015. Matthew Schefft, DO, Children’s Hospital of Richmond at Virginia Commonwealth University—Dr. 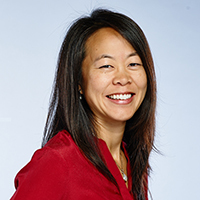 Schefft and colleagues used individualized pain plans (IPPs) to reduce pediatric emergency department admission rates for children with sickle cell disease presenting with vaso-occlusive crisis (VOC), a frequent event for children with the disease. Dr. Schefft’s project brought together a multi-disciplinary team that used a “Plan-Do-Study-Act” (PDSA) format to add an IPP document to the electronic medical record and create IPPs for the highest resource users. The team then measured the presence of an IPP, adherence to the IPP, and time to first and second opiate dose administration. The primary outcome was a decrease in the admission rate of 28 percent among patients with an IPP compared with the prior year. Even though there was no difference in readmission rate or 72-hour return rate to the emergency department, the project avoided an estimated 49 admissions per year and reduced costs for the hospital and patients. Marc S. Zumberg, MD, University of Florida, and member of the American Board of Internal Medicine’s Hematology Board—Dr. Zumberg and his colleagues worked with the College of Pharmacy and local blood bank to create institutionally approved indications for use of recombinant VIIa (rVLLA), prothrombin complex concentrates (PCCs) and blood products. They also developed guidelines for the immediate reversal of anticoagulant-related bleeding and for patients on anticoagulants needing emergency surgery. When rVIIa, PCCs or blood products are ordered, an automatic review is triggered that prompts the clinician to indicate the reason for the order. These are then reviewed by the pharmacy director or blood bank medical directors. If usage is outside of the guidelines, the orders are sent to Dr. Zumberg, and he or his colleagues email an individualized letter to the ordering clinician explaining why usage did not meet institutional guidelines. During the last three years, the letters have decreased expenditures related to inappropriate ordering by $590,830 and increased compliance with the University of Florida’s blood transfusion guidelines.